With the expanding needs in health care today and tomorrow, there is a growing need to translate today’s research findings into tomorrows health care solutions. The WSU College of Pharmacy and Pharmaceutical Sciences (CPPS) has a long history of training Ph.D. students, and has recently invigorated its Ph.D. program in pharmaceutical sciences following consolidation of the college in Spokane. In collaboration with the WSU Graduate School, the CPPS has established a combined, sequential Doctor of Pharmacy (Pharm.D.)/Ph.D. program that allows some aspects of the Ph.D. experience to be initiated during the Pharm.D. curriculum. The goal of this program is to integrate and expedite completion of the concurrent degrees in a time frame that is approximately two years shorter than it would be otherwise. Applications will be accepted concurrently with the Pharm.D. application, or in the first two years of the Pharm.D. program. Applicants follow the regular admission process for the Ph.D. program through WSU Graduate School. Applicants are strongly encouraged to gain research experience before applying. 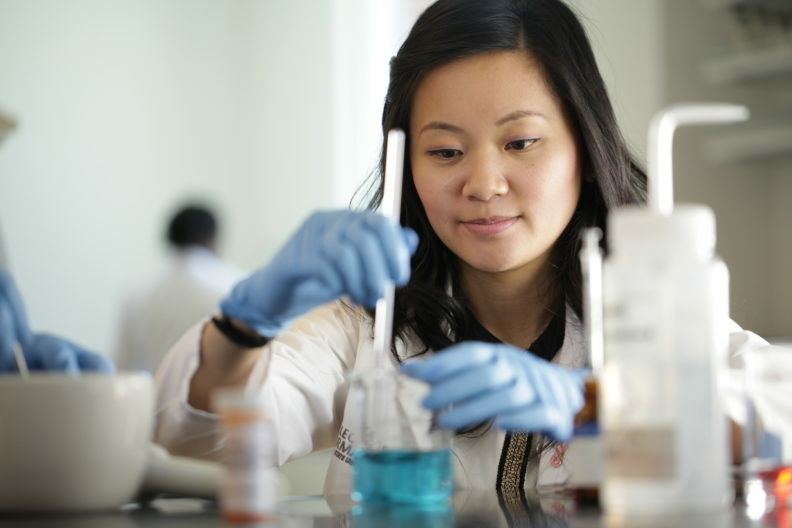 Admission in to the Ph.D. program is competitive, and students are expected to be strong academically as well as having and established interest in research. Students accepted into the concurrent degree program will be admitted to the Ph.D. program in Pharmaceutical Sciences contingent upon their satisfactory completion of the Pharm.D. degree. Once students in the Pharm.D./Ph.D. program complete their Doctor of Pharmacy and matriculate into the Ph.D. program, they will be offered a graduate stipend support package (contingent on availability of funds). Ph.D. students will also be eligible to apply for extramural support to provide or supplement their usual graduate stipend.